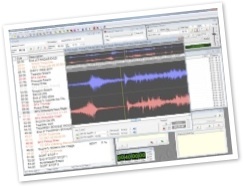 CSC is sound playback and show control software which has unique features that have been developed especially for use in musical theatre. West End musicals using CSC have included Top Hat, Cabaret, Starlight Express, Sister Act and Evita. It is also used on The Woman in Black and The Mousetrap. Lead programmer, Richard Carter, walks through how to get started using it. This seminar is part of the ASD Winter School, a week of intense theatre sound seminars held between January 27th and 31st at the Royal Central School of Speech & Drama. The Winter School is open and free to all students, and ASD members. If you're not an ASD member yet, here are some good reasons to join. Book your place now using the Register button above. All events will be filmed and photographed - your presence confirms your permission for the ASD to use any images or recordings of you in our publicity materials and seminar archive.